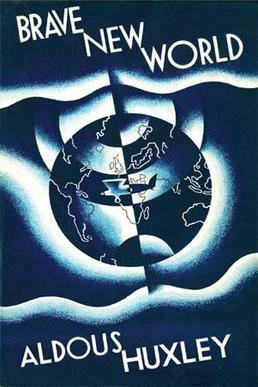 Brave New World by Aldous Huxley (DONE!). A stark take on a world where choice and liberty have been strippped from the populace, Brave New World was a book that my AP Literature class did not read in high school, and so it was that I never quite got around to reading. I just wrapped it up last week, and I’d recommend it to anybody looking for a mix of science-fiction, philosophy, and the clash of ideologies. The Way of Kings by Brandon Sanderson (DONE!). This was the book that took up most of my winter break. At over 1,000 pages, Sanderson’s novel is the first in a series of 10, and it’s been refreshing as a book where the heroes don’t always die (I’m looking at you, George R.R. Martin), the villains are countered but still dangerous, and the world is beautifully fleshed out and explained. If you’re looking to dive into a new world that will be alive and growing for many years to come, I’d definitely recommend it. Meditations by Marcus Aurelius. This is by far the oldest book on my list. A collection of thoughts and recountings by Marcus Aurelius, Roman Emperor from 161-180 AD, about his philosophy on life, leadership, and progress. His philosophy of stoicism was something I got to study in a philosophy class during fall semester (PHIL 168 – The Meaning of Life), and it’s one that I’ve personally resonated with a lot. If introspection and reflection is on your table, then pick up a copy of this short collection of thoughts. The New Jim Crow by Michelle Alexander. When we think of Jim Crow laws and the impact they had on limiting the suffrage of Black Americans, we also tend to think that those days are past us and that they’re never coming back. Michelle Alexander knocks down that notion, going through some of the many ways we’ve institutionalized and normalized racism and its effect on communities across the nation. I just started this one, but so far it’s been really interesting to see how Michelle Alexander breaks down modern racism and its roots. So that’s my list. If you’re a fan of reading, those are the books I’d recommend. But no matter what, take the time to do the things that refresh and replenish you once in awhile. Trust me, it’ll be worth it. P.S. If you’re ever looking for new books, there’s always something good recommended at r/books!